Swan Creek Point Estates, The most premier waterfront new construction development in Michigan. 10 remaining lots available ranging in price from $545,000-$845,000. 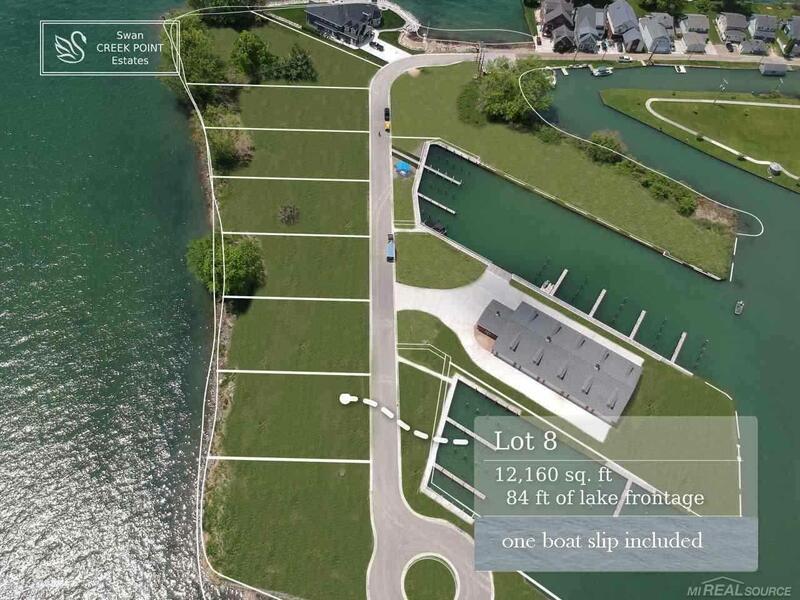 Each waterfront lot comes with two 40 ft. boat wells and two car storage garage by dockage facility. Build your dream home directly on Anchor Bay's Swan Creek Point. You won't find another waterfront development like this.